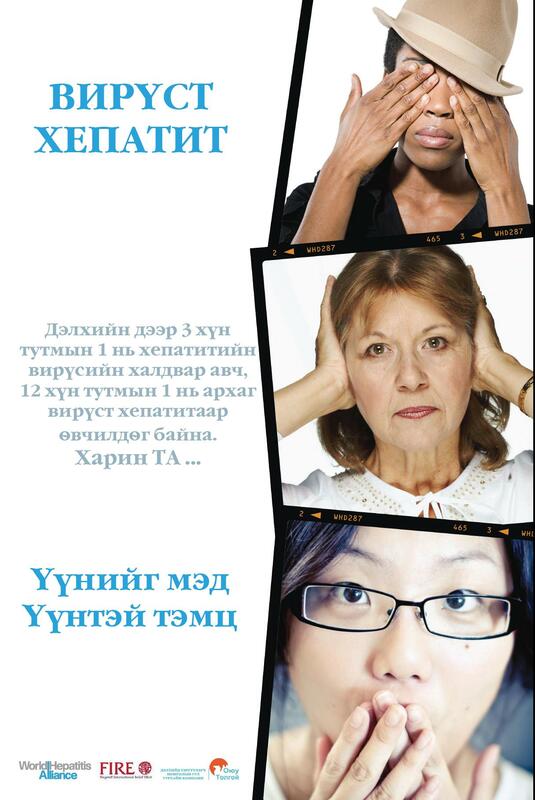 Mongolia’s high literacy rate and small rural communities make awareness campaigns effective methods for instigating change. In addition to implementing these community awareness campaigns, FIRE trains local officials and community leaders on the logistics involved to carry out these activities and how to address the relevant health issues. This training ensures that local communities have the resources and knowledge to continue awareness campaigns independently. Awareness activities include: conducting media events, including TV and radio programs and press conferences; distributing information and communication materials; and organizing events in gathering centers of local communities. Community Awareness Campaigns are also conducted in conjunction with our Viral Hepatitis and Liver Cancer Screening Project. We hold an awareness fair in the center of the province capital. We educate community members through the distribution of pamphlets and posters and provide speakers and information booths, including doctors from the local clinics. The fair is family oriented with singing and dance performances and activities for all ages. In addition to the community awareness fair, we also spend at the local central market and other locations distributing thousands of information and promoting awareness. FIRE is working with national health organizations, media companies, and private companies to develop a national awareness campaign to prevent hepatitis and liver cancer. Together we created a logo and slogan. The logo ties into Stanford University’s Asian Liver Center’s Jade Ribbon campaign, a global liver awareness campaign. 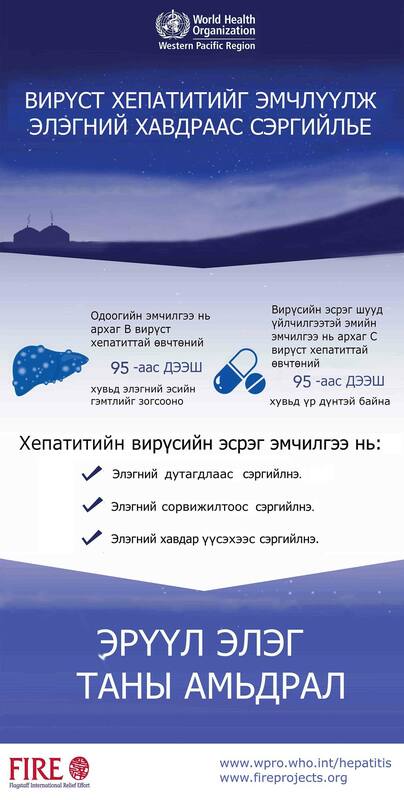 The slogan translates as, “Your Liver, Your Life.” Through a variety of creative and dynamic activities, we will educate the general population of Mongolia about the seriousness of these epidemics and the steps individuals need to take in order to care for themselves and Mongolia as a whole.